What is a multi room music system? Space age cartoons like The Jetsons portrayed a future that included flying cars, housekeeping robots and intercom systems that gave residents control of their home from anywhere in the house. Technology is advancing at a rapid pace, giving us robotic vacuum cleaners, automated appliances and other features that seem to be taken straight from the pages of a sci-fi novel. We haven’t yet progressed to flying cars, but house-wide systems that give the homeowner direct access to music is a step in the right direction. Historically, playing music in your house was fraught with complications. You would carry your music player with you from room to room or would hardwire your house with a maze of cables and connections hiding along walls and under rugs. Homeowners who elected to have a home audio system permanently installed would have wires and connections built into the walls. This method was effective but made it difficult to make changes or upgrades. Digital music made it easier to carry music around the house, music lovers were no longer dependent on the radio or had to carry around CDs or cassette tapes. 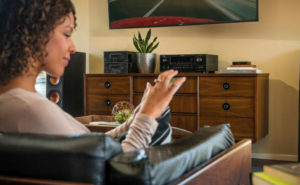 The rise of wireless technology has revolutionized the home audio system market, allowing users to stream music over a wireless connection anywhere in the house. Most wireless systems are based on point-to-point speakers. The speakers can then be placed strategically through the house or can be carried to any location the user wants. To listen to music, the user simply connects their smartphone to the nearest speaker. With this setup, the user must connect and disconnect to speakers as they move through the house. Besides taking time, this can be annoying. Another limitation of this system is the reliance on Bluetooth technology. Bluetooth requires the phone/tablet to be within range of the speakers, which can be problematic for someone who is moving around frequently. 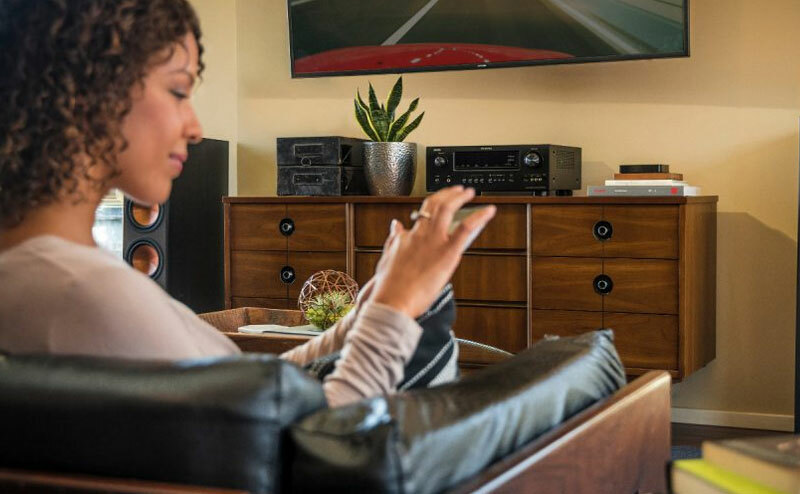 Multi room music systems give the user even more control and flexibility for streaming their favorite sounds throughout their homes or offices. 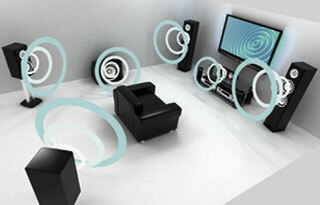 A typical multiroom system allows wireless speakers placed throughout the home to be connected simultaneously. Using their smartphone or tablet, the user can stream music to all the speakers at once, play different music in different rooms or stream music to a particular speaker on demand. One of the best features of a multi room music system is the ability to stream music from online sources, internet radio and downloaded files. Before investing in a multi room system, verify which services are supported to ensure you’ll be able to listen to the music of your choice. Determine the needs of your household or office. Will you need to play different music in different rooms? How many rooms will need their own speakers? Can you stream music from different sources simultaneously? Your music needs may change over time, so consider your future listening needs as well. Today’s multi room music systems use WiFi to stream music to the speakers. Many providers allow for dedicated signals to allow for uninterrupted streaming and little lag. Does your multi room music system have requirements for connecting to the WiFi, or does it require the use of a bridging device to connect? Determining the connection requirements ahead of time will ensure that your system will be compatible with your internet connection. Particularly for music lovers, sound quality is one of the most important features to consider. Does your multi room system offer settings for different styles of music? Are the various sound features such as bass and treble individually adjustable? Does the system provide sound that is true to life, or do songs, special effects or dialogue seem distorted? Preview the sound quality with a variety of music styles before purchasing a system. 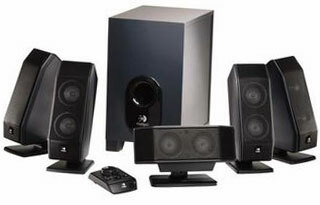 You may have a collection of wireless speakers from various manufacturers that you wish to integrate or may be concerned about adding additional speakers in the future. Not all multi room music systems will allow for this type of compatibility, however, so it is important to find out prior to making an investment. There are few things more aggravating than watching a movie and realizing the audio track is out of sync. Synchronization is essential in multi room music systems for the enjoyment of all listeners. Ensure that your system will work with your configuration and equipment. Equipment that is complicated to operate, has more buttons and options than you will use or requires an instruction sheet to turn on is more trouble than it’s worth. While there will be a learning curve with any new system, it should be intuitive. Is the app easy to navigate and control? How easy is it to access various music sources? Can all the users in the house operate the system? Homeowners who are conscientious of the look and style of their home furnishings will be relieved to know that multi room music systems can be both beautiful and functional. From sleek, modern designs to retro looks, you can find a system that meets your style preference. Their small size will blend into the room seamlessly. Quality multi room music systems can be a sizable investment. However, due to the wireless technology, they can be added onto over time, making the initial costs less prohibitive. Many systems come as a ‘starter pack’, which may meet your needs initially and allow you to add other features in the future. Are you in the market for a multi room music system? The professionals at Clarion AV can help! They will consult with you about which system will best meet your needs based on usage and budget. In addition, they will install and set up your system, making your most difficult task deciding which song to play first. If you’re ready to find out more about adding the sweet sounds of a multi room music system to your home or office, contact Clarion AV at (972) 861-2802 for more information!